There’s really no better way to find out if something lives up to the hype than to try it out for yourself. 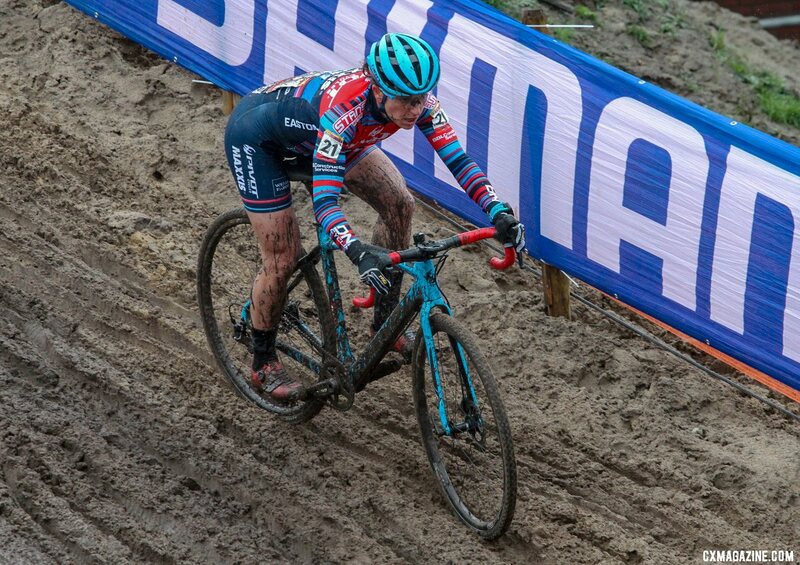 Such was the case last weekend for Courtenay McFadden (Pivot Cycles/Maxxis p/b Stan’s/DNA Cycling). 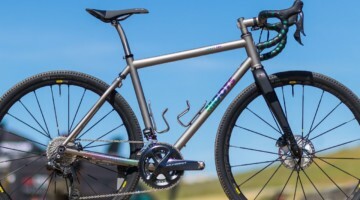 McFadden grabbed her Pivot Vault, slapped on a front derailleur and some Maxxis Ramblers and headed to the hills at Washington’s Cascadia Super Gravel. The Cascadia Super Gravel event packs 7,700 feet of climbing into a 70-mile course. Needless to say, McFadden got the full gravel experience. Did my first gravel race today. Everything hurts. Longest and most elevation gain in 3 years. Gravel is hard. Being able to grind gravel for five-plus hours was a victory in and of itself for McFadden. 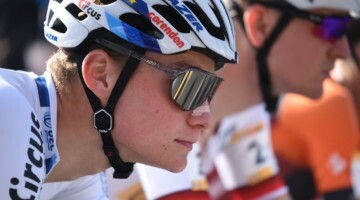 McFadden had hip surgery in February 2017 and 2018, which has left her recovering during the spring and summer during the last two cyclocross offseasons. 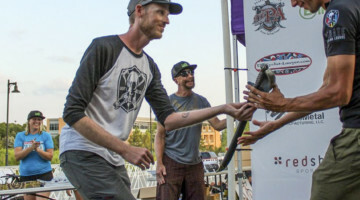 “Also, this is the first time in three years I’ve been able to go out and just ride hard and totally bury myself without being too worried or concerned about my hips post-surgery, and in March nonetheless,” McFadden said. We know McFadden got her money’s worth from the gravel race. At the end, did she get something back from the tough course? 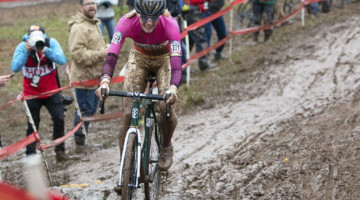 We chatted with McFadden to get the full story of her first gravel experience. 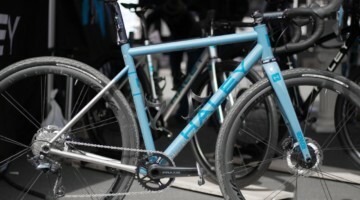 CXM: What gravel event did you do? 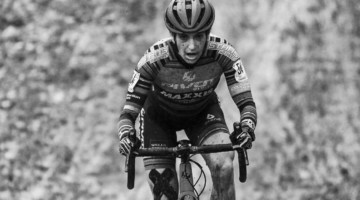 Courtenay McFadden: I raced the Cascadia Super Gravel here in Washington. CXM: You said this was your first one? What was the motivation for doing it? 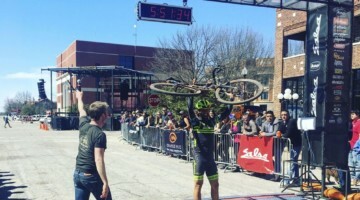 CMcF: I know my sponsors would love to see more gravel events on my schedule, with gravel gaining so much media attention and traction, plus the engagement and amount of people participating at the events, it’s a great way to spread brand awareness. 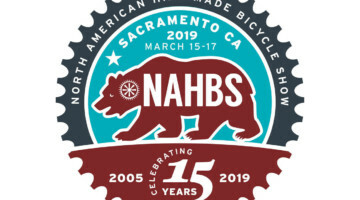 For me, it was also a great way to see local biking friends I don’t see often because I’m not racing as much locally, especially after two hip surgeries, I haven’t been at any spring or summer events the last two years. Also, this is the first time in three years I’ve been able to go out and just ride hard and totally bury myself without being too worried or concerned about my hips post-surgery, and in March nonetheless. Last year at this time I wasn’t even allowed to pedal outside or longer than one hour on the trainer! 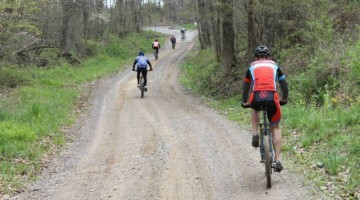 CXM: Jamey [Driscoll] has some gravel experience, have you talked with him or others about gravel? CMcF: You can say I dove into the deep end without knowing how to swim. I asked friends who had done the event how hard it was and what gearing I would need. I didn’t have enough gears. Not sure if anything would have been enough. I also didn’t really know the best water situation, two bottles? Three bottles? hydration pack? 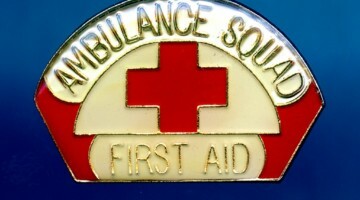 Stop at the aid stations? I just went in blindly and hoped for the best. 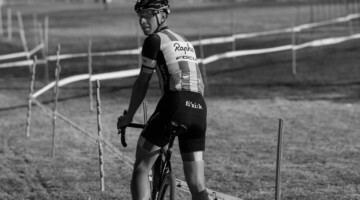 CXM: Did you ride your Pivot Vault? Which tires? 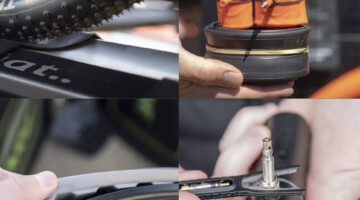 I guess being a tubeless team helped? CMcF: I did ride my Vault because that bike is rad and you can take it anywhere! 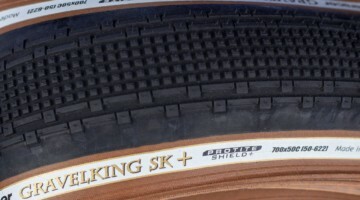 I rode the Maxxis Ramblers with the Stan’s Grail CB7 Pro Wheels. I don’t know what pressure I rode because I never checked. Like I said, I just jumped in blindly. I set the wheels up a couple days before the event, and the Stan’s wheels hold air really well, so I just trusted they would be fine. I also didn’t bring any tubes with me or anything for a flat repair except for a pump, I was seriously unprepared, but I had no issues with flats, and there were a lot of flats out there. Trust your system! 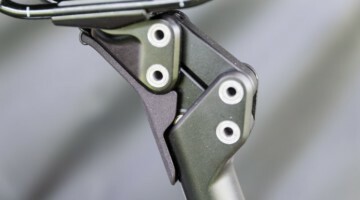 CXM: Any other changes to your bike? 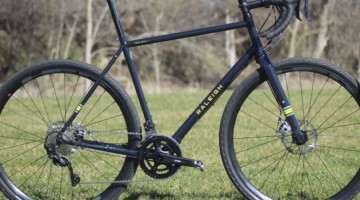 CMcF: I added a front derailleur because I knew my 1x system wasn’t going to be enough, and my rear derailleur wasn’t going to fit a larger cassette. It was also cheaper to buy a front derailleur than a rear derailleur and new cassette. I added the double Easton shifting rings as well and was hoping for the 47/32t but those were out of stock. I was unprepared and asked for it about four days before the event and ended up with the 50/34t. To add to my complete unpreparedness for the event, I was frantically trying to get the front derailleur installed on my bike the Friday before the race (because I ordered it the Tuesday before), but I didn’t have the double rings yet, so the shop installed it. But it wasn’t fine-tuned until about 1 a.m. the night before the race when Matt Hornland from Easton helped me out. We’re thankful for YouTube. CXM: Did you race race or more enjoy the ride? CMcF: Given this was the longest ride I’ve done since 2016 and the hilliest, I was prepared to go in and enjoy the event and try to survive. Surviving was literally my goal … and maybe finish around the five-hour mark. I’m not sure people understand what I wasn’t able to do and how I wasn’t able to train all that much after my hip surgeries, and how actually being able to finally do an event like this has been huge for me, so I was looking to enjoy the ride. I also took five weeks off the bike, so I really had only been “training” for about 3.5 weeks prior to this event, so I went into the event with the goal to chill out. However, throw a competitive person into a race and all intentions go out the door really fast. The race started on pavement, and I swear people took off like rockets! I tried to hang as long as I could, but about 15 minutes in when my heart rate was 180, I decided if I wanted to survive I should slow down and just decided to take it at a pace I knew I could finish with. I had intentions of relaxing at the aid stations and taking my time filling up my bottles, maybe eat a snack or two, but then I realized that the groups didn’t stop at the aid stations and I would be all alone if I stopped for too long. So I frantically filled up my bottles and chased back on. About two hours in I started to feel pretty good and my legs remembered how to climb. So that was cool. After about four hours, I wanted to curl up and cry. CXM: You mentioned you are really sore from the ride, which part of your body does hurt the most? CMcF: My hands, wrists, and forearms are insanely sore. My hands hurt to make a fist! CXM: What did you think of the gravel scene? 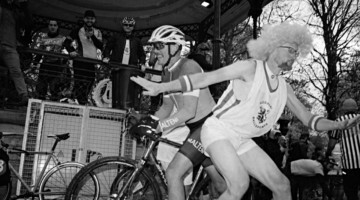 CMcF: It was the longest I have ever suffered on a bike in my life. My average heart rate was 171, and my legs were fried. It was so hard! I tried to chat with as many people as I came up on to help me enjoy my ride, and so I met some great people who felt like my shining angels when I wasn’t sure I was going to survive. I liked hanging out after the event as well, and it was sunny and warm and made me want summer! It was a fun and competitive yet low-key and friendly scene that I understand the draw to it now. Before I did this event, I wasn’t sure why people did gravel, but I see now. CXM: Are long rides like this normally part of your cyclocross training? CMcF: Yes, they sure are! But not the last two years because of hip surgery. CXM: Plans on doing more gravel? CMcF: Yep! I’ll probably do some more local stuff and will plan to be at the Lost and Found in June. CXM: I know it was a tough season for you. You fully recovered from the leg thing now? CMcF: Um, sort of yes and no. I have a very large ball of scar tissue on the side of my leg from the hematoma, so I’m still trying to work on that. The leg still does feel weaker than my right leg, and I think over all that hip and glute strength still needs to get stronger. I’ve been having some back issues since the Pont-Chateau World Cup that I’m working through, and I’m actually wondering if it’s related to that leg thing/scar tissue. When you put your body through the wringer like we do, we have to take care of it a little more. CXM: Awesome to hear you’re enjoying the gravel thing. Looking forward to seeing the stories from the rest of your races this year. CMcF: Thanks. Looking forward to it as well.